The meat substitutes market is estimated at USD 4.63 billion in 2018 and is projected to reach USD 6.3 billion by 2023. It is projected to grow at a CAGR of 6.8% during the study period. The market is primarily driven by factors such as changing trends toward healthy diets, which has led to an increased demand for clean-label products, such as plant-sourced proteins that include tofu and seitan. Another growth factor can be the increased preference for vegetarian and vegan foods. As a result of the vegetarian and vegan food trends, retailers such as Tesco are increasing the availability of meat-free food products in the market. This scenario has led to the demand for meat substitutes. Factors such as global climatic conditions that affect the production of raw materials such as soy and wheat act as major restraints of the meat substitutes market. The increasing prices of raw materials are an important concern for the meat substitute manufacturers, and this consequently acts as a restraint to the meat substitutes market. On the basis of category meat substitute products that are shelf stable are projected to grow at the highest CAGR among other storage categories. The demand for shelf-stable meat substitutes is increasing gradually, as frozen products are more expensive and consumers are seeking fresh or freshly prepared food products. Based on type, the tempeh segment is projected to be the fastest-growing during the forecast period. Tempeh offers health benefits such as higher antibody count, reduction in sugar levels in the body, muscle building, reduced risk of diabetes, and lower cholesterol levels in the body. There is considerable potential for tempeh in developed countries such as Canada, where people are becoming aware of the health benefits offered by fermented food products, encouraging manufacturers to offer new tempeh products in the market. Based on the source of the meat substitute, wheat-based meat substitutes are projected to form the fastest-growing segment. Wheat proteins are highly cost-effective and find applications in food products such as burgers patties, nuggets, and vegetarian sausages; these innovational applications make wheat the most highly adopted source of wheat substitutes over the projection period, among others. Asia Pacific is projected to be the fastest-growing market between 2018 and 2023. Industrial growth and improvements in the food industry have opened new opportunities for the meat substitutes market in this region. Also, non-meat-based meals are already popular in Asia, with tofu used extensively in Asian cuisine and bean-based congees widely consumed in countries such as China. This makes the Asia Pacific region the fastest-growing potential market for meat substitutes. The report segments the meat substitutes market on the basis of source, type, category, and region. 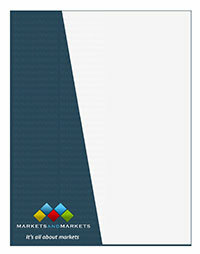 In terms of insights, this research report has focused on various levels of analyses?competitive landscape, end-use analysis, and company profiles, which together comprise and discuss the basic views on the emerging & high-growth segments of the meat substitutes market, high-growth regions, countries, government initiatives, drivers, restraints, opportunities, and challenges.